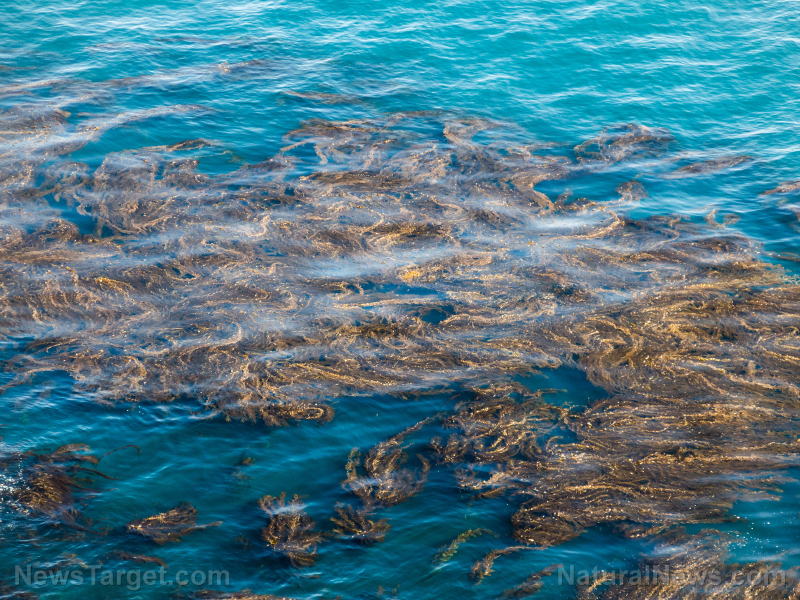 (Natural News) Researchers have found a new way to measure the photosynthesis levels of marine plants. A Cosmos Magazine article details how they employed underwater microphones that can pick up the sound of oxygen released by the plants. Like their terrestrial counterparts, algae seaweed and other aquatic plants generate oxygen during the photosynthetic process. Because they are underwater, the oxygen is expelled into the water. The higher the level of photosynthesis, the more oxygen is released. Small amounts will dissolve into the water without a fuss, but large amounts of oxygen form bubbles beneath the leaves of marine plants. Once these bubbles get big enough, they will slip free of the confining leaves and head upwards. Their size will keep the bubbles from dissolving before they reach the surface. Previous methods of measuring the oxygen content in seawater did not account for these bubbles. Marine researchers have been unknowingly miscalculating the level of photosynthesis in large bodies of marine plants for many years. The new detection method is similar to sonar, explained researcher Jean-Pierre Hermand of the Free University of Brussels. It will keep track of the rate at which the plants release oxygen bubbles into the water. Hermand said the new method can measure oxygen production across the vast length and breadth of a seagrass meadow or a kelp forest. Algae seaweed like seagrass and kelp play important roles in marine ecology and the reduction of CO2 in the atmosphere. However, their numbers have been rapidly dwindling over the past century. The heat wave of 2010-2011 destroyed 20 percent of the seagrass in Western Australian waters. Not only will 9.9 million tons of CO2 remain in the atmosphere, but the dead seagrass will release more than 23 million tons of CO2 over the next four decades. Meanwhile, the kelp forests in the seas off Tasmania have also been grievously reduced. Herman’s American colleague, Simon Freeman of the U.S. Navy, reported that a sufficiently sensitive passive microphone can pick up the sounds made by oxygen as it bubbles to the surface. He is thinking of using it to monitor coral reef health. Coral cannot coexist alongside algae. The presence of the latter will prevent the former from returning to a location. In an earlier paper, Freeman related the results of a six-month study in Hawaii, where they used acoustics to observe coral reefs in 23 locations. Most sounds in healthy reefs were low-frequency ones, while areas with dead corals and plenty of algae had lots of high-frequency sounds. The high-frequency sounds were mainly heard during the day. This led Freeman to theorize that the sounds were caused by oxygen bubbles released by algae in dead coral reefs. While the bubbles resisted dissolution, they did deform and vibrate as they escaped, releasing bell-like sounds on their way up. Freeman’s team tested their theory by growing algae in a tank, shining grow lights on the plants, and listening to the sounds of the oxygen bubbles. The sounds made by the oxygen bubbles were identical to the ones they heard in Hawaii. This discovery suggests a simple way to keep an eye on important coral reefs like the Great Barrier Reef of Australia. Marine researchers could set up listening posts that listen for increasing levels of high-frequency sounds generated by oxygen-producing algae. Keep an ear out for interesting discoveries about marine plants and coral reefs at Ecology.news.